Fun and easy to use, this hand blender from Bodum is the quick solution to blending purees, smoothies and soups without the hassle of cleaning a whole blender pitcher. 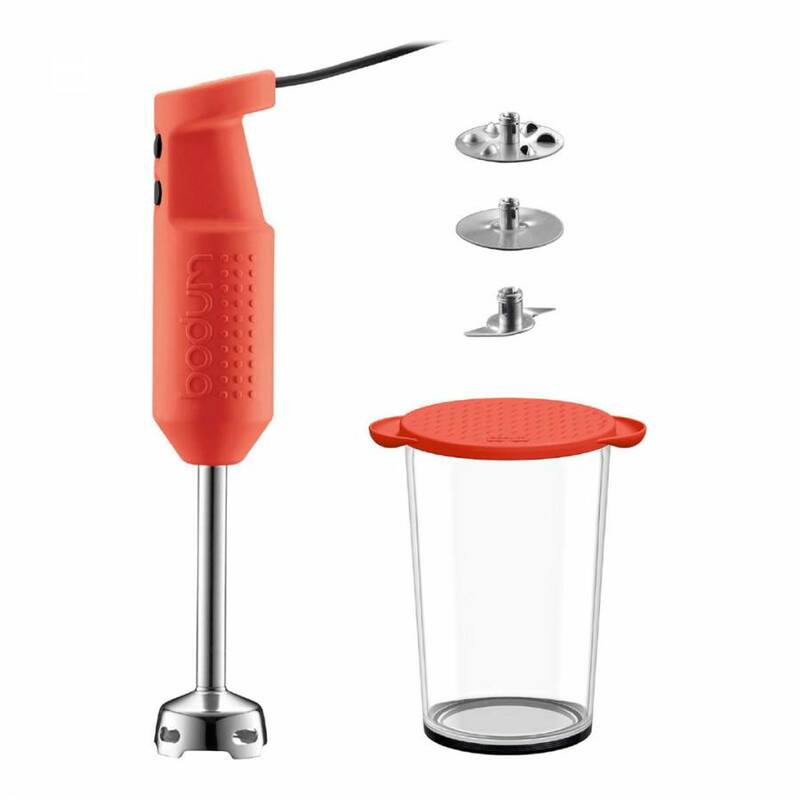 Featuring three easy stick-on attachments with different functions, this versatile blender is great for a wide variety of cooking tasks. With a powerful 200W motor, this stick blender quickly blends without any fuss and boasts 2 different speeds so you can tailor performance to your needs. This sleek and stylish blender also comes with a plastic beaker, ideal for storing leftovers in the fridge.